UPDATE: Ivan Moody issued an official statement, read it here! 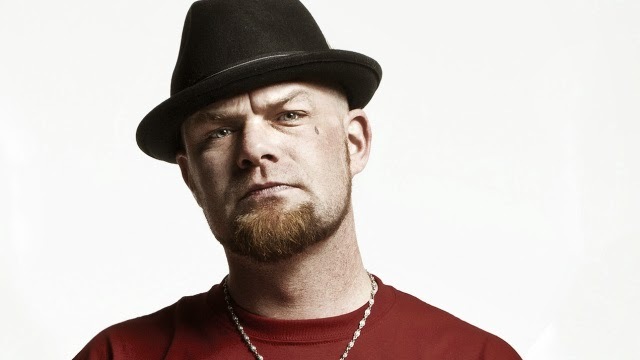 Ivan Moody has announced he will be leaving the band, in a shocking new radio interview. Ivan Moody stopped by Your Morning Show on 106.7 KBPI today to deliver his first radio interview in 8 months. In his chat with Willie B, Ivan revealed what was going on in his personal life, headlining the High Elevation Rock Festival and where Five Finger Death Punch is headed. He said: "I had a meltdown. I was like Kanye without the money." According to Ivan, he and the band will be going their separate ways at the end of 2017. He said: "To be completely honest with you, Death Punch and I have kind of come to a crossroads. We’re very proud of what we’ve done – years and years and years of work...". He continued: "It’s time for us to take our way and go do something else, so after this year... my new band, Villain... I’m so excited." Moody has announced he will be launching a new band, called Villain, at the end of the year after he departs Five Finger Death Punch.